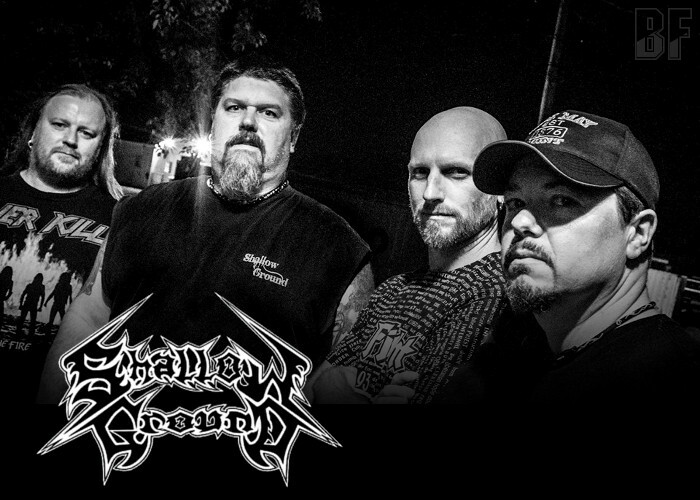 SHALLOW GROUND is a 4 piece Thrash Metal band from Meriden, Connecticut, and originally formed back in the mid 90's aiming to spread their brand of thrash metal to the masses. They have released their self-titled EP (2009), full-length debut album “The End Of Everything” (2013), the 2nd album “Embrace The Fury” on November 13th 2015 in Europe through KILLER METAL RECORDS as same as the previous release, and independently on their own throughout the rest of the world. SHALLOW GROUND played at The Warriors Of Meal Pre-fest and shared the stage with numerous national acts such as The Devin Townsend Band, Tesseract, Holy Grail, Cauldron, Warbringer, Lazarus AD, Diamond Plate, Unearth,Chimaira, Skeletonwitch, Kittie, The Agonist, Blackguard, Diecast, Bonded By Blood & Vindicator, and also the band has supported for EXODUS and KAMELOT. 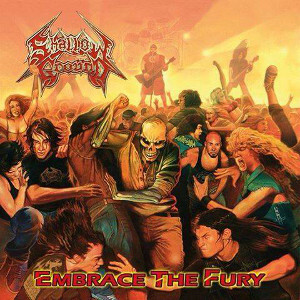 For all metal heads especially fans of old school thrash, and moshing or head-banging dudes.